The Hanson Research SR8-Plus represents over thirty years of engineering expertise, beginning with founder Bill Hanson's pioneering work in the 1960s. 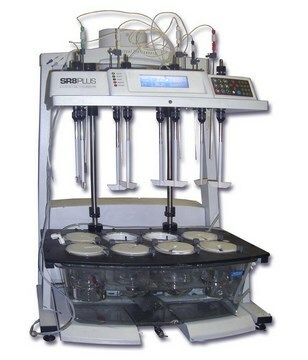 Fully compliant with USP/FDA and other international regulatory requirements, the Hanson Research SR8-Plus handles everything from simple protocols to extensive methods. There are no threads in Hanson SR8 Reviews at this time.